Ankle replacement surgery is now available at Cayuga Medical Center. In addition, local orthopedic surgeons perform total joint replacement surgery for knees, hips, and shoulders, as well as finger and wrist reconstructive surgery. How common is ankle replacement surgery? Ankle replacement surgery became more common in the late 1970s and early 1980s, but it was a problematic procedure back then. The prosthetic joints used at that time had a high failure rate. Outcomes got much better in the late 1990s due to improved anatomical designs and cementless technology. Now the results for ankle replacement surgery are very encouraging. Five years after joint replacement surgery, 90 percent of ankle replacements are working well and ten years out, survivability of the implants is about 80 percent. When should someone consider ankle replacement surgery? People with end-stage arthritis of the ankle should talk with their orthopedist about ankle replacement surgery. Often these individuals have had previous ankle surgery or hindfoot fusions. Undergoing joint replacement can preserve motion in the ankle and provide needed pain relief. Do age and lifestyle figure into a decision to have ankle replacement surgery? 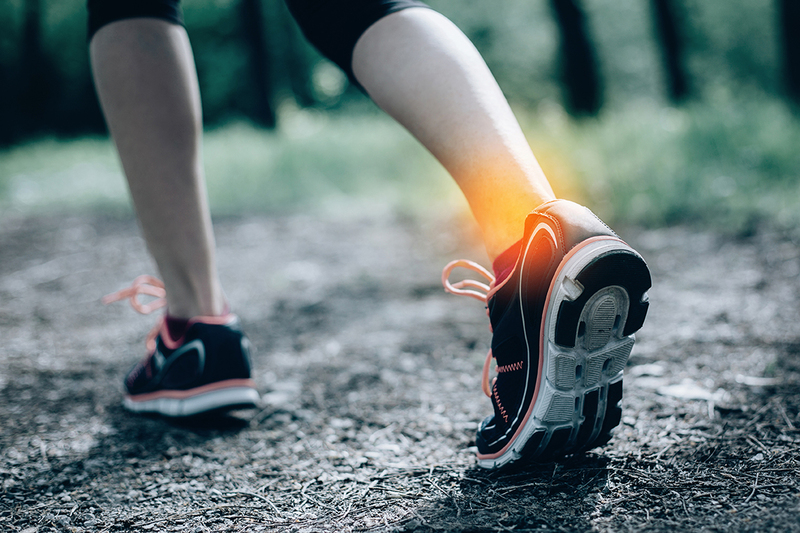 Ankle replacement surgery is most appropriate for people who are more sedentary and is not typically recommended for athletes or individuals involved in heavy labor. For younger people with more focal damage to the ankle joint, we would try to reconstruct the cartilage, or if the damage is severe, fuse the ankle bones. Fusion of the ankle bones still preserves much of the motion of the hindfoot (leaving the other joints unfused) and is a very durable option. In addition, I utilize a technique for ankle fusion that maintains the option for ankle replacement should a patient need that procedure at a future date. In cases where only part of the ankle joint is worn out, we often recommend cartilage replacement. We remove the damaged zone of the joint and replace it with matched bone from the patient or matched pieces from the bone bank. Cartilage replacement, ankle fusion, and ankle replacement surgery are all state-of-the-art procedures for successfully treating focal arthritis of the ankle as well as global arthritis of the joint. These are technologies that have matured in the last ten years. What do we know about the current technology? I have been fortunate to conduct research and publish in the field of foot and ankle surgery for the past twenty years and have participated in three FDA protocols for ankle replacement. I am currently participating in a follow-up study on the STAR ankle implant, which received FDA approval in 2009, and I serve as an approved instructor for STAR ankle replacement. We are well equipped at Cayuga Medical Center to provide ankle fusion and replacement surgery and we are eager to bring this new capability to the patients we serve. Dr. Wilson is board certified in orthopedic surgery and is a member of the medical staff at Cayuga Medical Center. Prior to joining Orthopedic Services of Cayuga Medical Associates, he was an assistant professor at Harvard Medical School and chief of the division of foot and ankle surgery at Brigham and Women’s Hospital in Boston. Dr. Wilson can be reached at (607) 272-7000. On April 1, Internal Medicine of CMA and Cayuga Neurologic Services of CMA moved to 905 Hanshaw Road, Ithaca.